Everyone has probably seen old pictures or a movie that shows native tribesmen dragging loads behind dogs or horses on poles across the plains. The “travois” comes from the French word “travail”, which basically means work of a painful or laborious nature; to toil. That doesn’t sound too good if I have to toil, but it is the travois that does the heavy lifting. I shot a small buck several years ago. I was alone and it was about 15 minutes before sunset, so it was going to be very dark in about 45 minutes. I was about a mile from my truck, so I only wanted to make one trip. I weighed my options while I field dressed the deer. I could drag the him on the ground, but I didn’t want to destroy the hide. If I took the time to bone out the meat, I would reduce the weight of buck from about 150 to about 88 lbs counting his head and hide, but with my pack and rifle, I would still have to make two trips. Figure 1. Ladder shaped Travois. I had thought about what it would take to make a travois, but had not actually made one before. I grabbed the Ka Bar Machete from my pack and started cutting dead trees from a nearby aspen stand while it was still light. There were many small thin dead aspen that were still standing. I cut two poles about 10 feet long and then several shorter pieces for cross supports. I tested them for strength and laid them on the ground and started lashing the poles together like a ladder with paracord. I always pack several long sections of paracord and didn’t want to cut the cord, so I left the chord intact from one lashing to the next. It took about 20 minutes to cut poles and lash them together. It wasn’t a work of art, but it only had to hold together for one mile. Then I would take it apart to recover my paracord. I rolled the buck onto the travois and tied him down so he could flop around or drag. I also tied my pack to the frame and slung my rifle over my shoulder and started down towards the trail. The weight was surprising easy to lift with the travois, but was difficult to drag through the shrubs. Once I got down to more open country and on the trail, it was much easier to drag. After a few minutes, I stopped to rig a sling out of the para-chord so more of the weight was on my shoulders and not on my hands and arms. My rifle sling would have been perfect, but I didn’t want to lash the rifle to the drag. I also used an extra jacket for padding to protect my chest and shoulders. I tried holding and pushing the frame several ways, such as pushing against the cross bar with my pelvis or hip or pushing with my chest and shoulders. It was much easier for me with the weight higher and pushing with my chest and shoulders. When one shoulder got sore, I could quickly rotate and push with the other shoulder without breaking stride. I took breaks and stretched frequently, but it only took me about an hour to cover the mile to my truck, much faster than I thought. That is about the same amount of time it would take two people to drag a deer out on the ground. Been there and done that. Like everything else, after doing it once, I have thought about ways to improve the travois and make it work better if I ever need to make another one. 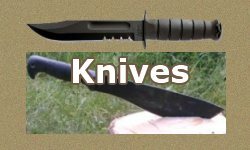 After looking at pictures of traditional travois and thinking about the one I made, I can think of three improvements. Longer poles give more leverage, but the poles themselves become heavier. Long poles are also difficult to maneuver between trees and rocks, so somewhere between 10 and 14 feet would be the best balance between the weight required to lift the load and maneuverability though the trees. Obviously, a travois works best in the open plains. A triangle is always stronger than a square and a triangle shape automatically incorporates a wider base. The triangle shape would not want to “rack” as the ladder shape did. And being wider at the base prevents the load from wanting to tip over. With my narrow ladder, I almost tipped the load over several times because it was top heavy for the narrow base. The only problem with the triangle shape is that it requires longer poles, which increase weight and it may be difficult to find long poles on short notice. F1 is the force you have to lift. Figure 2. Diagram of Travois. F1= load, F2 = force needed to lift, L1= length of Lever & L2 = distance to center mass of the load. For that first travois, I used poles about 10 feet long. I estimate the deer and my pack weighed about 180 lbs, so with the center of the deer’s weight about 30 inches from the end and with the lever distance about 9 feet, I had to lift about 47 lbs. If I used longer poles, there would be less weight to lift, but the drag force would be about the same. For you physics professors, technically, once you raise the end of the pole to waist height, the horizontal vector and length have become shorter, so the effort to raise the load is slightly higher. Also, the calculations show the longer the pole, the lighter the load, but that does not take into consideration the weight of the poles themselves. Depending upon center of mass and length, 20 lb poles would increase the weight to be lifted by 3 – 5 lbs each. Long poles increase leverage, but also increase weight and make it difficult to maneuver through trees. So, I hope you find yourself with a big old buck to drag back to the truck and nobody to help. It builds character and self esteem. But seriously, now you can consider building a travois and then teach everyone a new French word while you’re bragging about it. How much Meat to Pack out on a Mule Deer? Internal Frame for Wall Tent; How many Rafters? 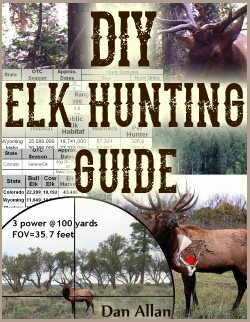 Small buck– 150 pounds or less after field dressing. For small bucks make the carcass into a backpack. Cut the forelegs at the knee leaving hide to create toggles. Cut the flesh on the hind legs to separate the achilles tendon from the bone. Fit the toggles through the tendon gap to create a backpack. Fit your arm and shoulder through the loops created by the legs. You will get blood on your shirt and back but the deer stays clean. If you are in decent shape you can move at a decent pace. Uphill is another matter. 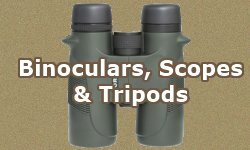 I have seen this done, but have never back-packed a deer using that method myself. I doubt I could have packed 150 lbs 30 years ago, but I know I can’t pack that much weight now, especially if I still have my day pack and a rifle, but good information for you young bucks. I filled two tags this year, mule-deer buck and cow elk. I spent about 15 minutes and built a travois and with very little effort drug the little buck down to the road about quarter mile away. 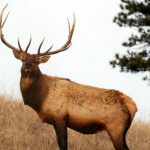 I quartered the elk and my wife and I packed it out. I would have preferred to build a travois, but it was getting dark too fast and there were no small poles nearby. The pack took three trips since we had our day packs and my rifle. My wife was a trooper, she went back to the truck and moved it to the closest point on the road and retrieved our pack frames. Wish I had a picture her packing an elk shoulder and tenderloin (52 lbs, shoulder was 44 lbs including hide and bone, but foot removed and back-straps were 8 lbs). Since it was dark, I wanted to keep the elk quarters very close together, so we wouldn’t lose anything or waste time looking for them in the dark. We staged the quarters about 50 yards at a time and then returned for the remaining quarters, packs and rifle. It took us until midnight (6 hours) to quarter and pack the elk to the road about 700 meters away = 5 trips X 700 = 3,500 meters = 2.2 miles. The Elk hindquarters weighed 65 lbs each (hide and bone on, but foot removed), so even if you can’t carry 150 lbs at a time, slow and steady will get the job done. I made a travois to carry all my basic gear for a camp. I really wonder how they bundled and lashed the load onto the travois in the old days. I’ve looked and looked for information on that but I could only find one article a long time ago, and don’t quote me because I only vaguely remember it… but I think I remember them saying that they they permanently tied two strong thongs about 9 feet long to the top of the travois and used them to lash on the load. I wonder if they bundled everything and lashed it with the thongs with an X pattern? If anyone knows anything about an authentic method please let me know. Hi Adrienne: Do you have a picture of your travois? I’ve made two travois (plural) to drag game back to the trail head, but never took a picture and dismantled both at the trail head to retrieve my rope. There are many historical pictures online of travois on dogs and horses, but few show enough detail to see how they were tied. Most look like bundles of hides, so the goods must be bundled inside the hide and tied to the frame. Some show children siting on top of the bundle behind a horse. There must have been dozens of ways native people tied bundles onto a travois. Different tribes may have had different methods or even differences between families. Example: Which is best for tying a pack to horse or mule? Box hitch or Diamond Hitch? 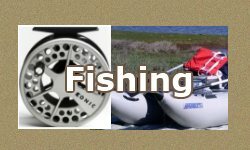 Which is the best for attaching a fishing hook? Fisherman’s knot? Improved fisherman’s knot? Uni knot, Palomar knot? or Davey Knot? 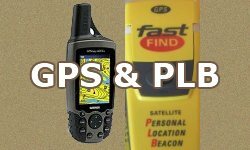 They may all do the job, but the best answer depends on what you are packing or what kind of fishing you are doing and what type of rope, line or hooks you are using. Evidently, the travois was first used with dogs. They were specially made to fit the dog. When horses became available, they apparently used the lodge poles with a simple cross bracing. That way the horse carried a few poles and some other gear at the same time. One of the best ideas I heard was to lash netting onto the travois. I think that would make it easier to tie down gear. But then I have to add netting to my list of things to pack. Google “travois” and look at images for some ideas. Here are good examples used by the Blackfoot tribe. 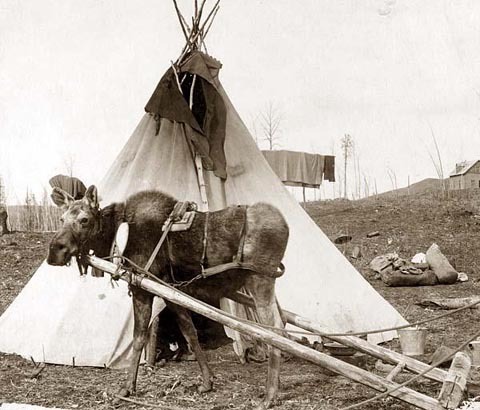 I even found a photo of a moose hooked to a travois. The teepee in the photo suggests this was done by native people, but the cabin in the background may suggest otherwise. Hi. Thanks for all your information and ideas. It sure is a neat picture of a MOOSE pulling a travois! No I haven’t taken a picture of my travois yet because it has evolved so many times. It used to be taller but I couldn’t bring it inside my wall tent with all my stuff on it when it rained, so I cut the long poles down shorter. I wanted to learn to make it from only materials out of the bush (no store-bought rope, etc. ), so I first learned how to soften and use CEDAR BRANCHES (with the ‘needles’ stripped off) to lash the travois together. I used young, flexible sticks or made them flexible by twisting them. Then I tried collecting different kinds of tree and shrub ROOTS, with the bark stripped off, to lash it together. Lastly I used STRIPS OF WET DEER-HIDE (from a deer-hide that I smoked) to lash it together. The deer-hide strips shrink and tighten when they dry. (Next time I would cut the strips wider to make them stronger). I love the points you made about the base being not too narrow and not too wide. I cut the bottom ends of the two long poles at an angle (“\”) where they drag on the dirt. This lessens the ‘drag’ and helps them skid along more easily. Some kind of netting, maybe made from natural-fiber cordage, hung between the cross bars would be a great idea! Why not use a modern Deer Cart? A deer cart would be great for hunting from a blind. But not so much when stalking around in the mountains. You never know where you are going to end up or how far you will be from the truck. It could take an hour to hike back to the truck for the cart (unless you plan to take it with you) and another hour to get back to the kill site. I can build a travois in 30 minutes.